... if it has to do with containers you should probably talk to us.. The Container Leasing Group offers specialist management services for companies looking to procure containers, ships and road trailers. Our highly experienced team provides in-depth knowledge to support clients worldwide with the finance, design and acquisition of critical transport assets. Container Leasing is your expert source of transport asset financing. Headquartered in Denmark, we currently finance 300,000TEU of containers and several ships worldwide for major ocean carriers. Our subsidiary Container Management and Shipping offers particular expertise in structuring and managing ships projects for third parties. 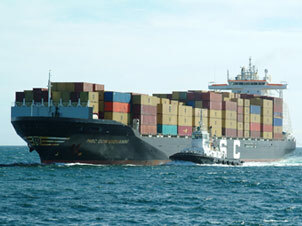 We also operate a number of vessels as an independent ship owner. Container Leasing UK Ltd focuses on the design and supply of special containers, particularly for European multimodal and short sea operations. We hold several important patents and have spearheaded the technical development of new generation European container equipment. Our innovative designs include 45ft curtain side, pallet wide and refrigerated boxes, folding flat racks, and a range of other specialist and bespoke equipment. We are proud to be Europe’s leading supplier of 30ft dry bulk containers. Please tour our website for more information on our capabilities. We look forwards to talking with you about how we can meet your needs. WARNING: We have been notified that a Phishing attempt has been made by Jenifer May jenny_containerleasing@outlook.com Please disregard any correspondence from this person as it is a fraudulent action and has nothing to do with Container Leasing. The incident has been reported to the proper authorities.